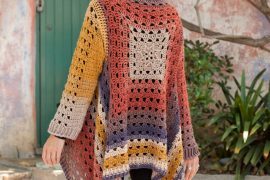 There are so many different items that you can use to crochet other than the traditional yarn and thread. 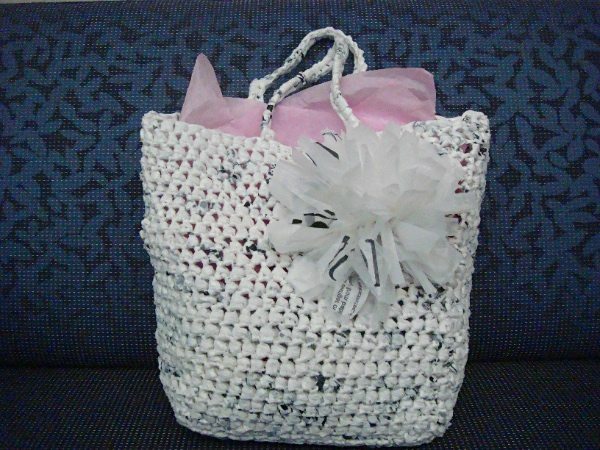 Alternative material crochet includes crocheting with plastic bag yarn, t-shirt yarn, jute twine and more. 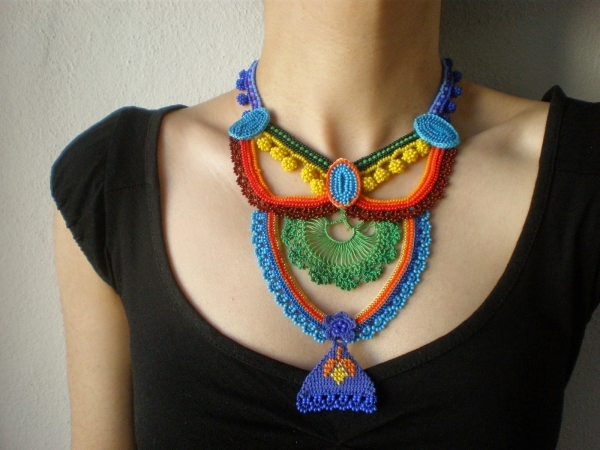 Here are 19 terrific crochet projects that showcase the beauty and versatility of alternative material crochet. 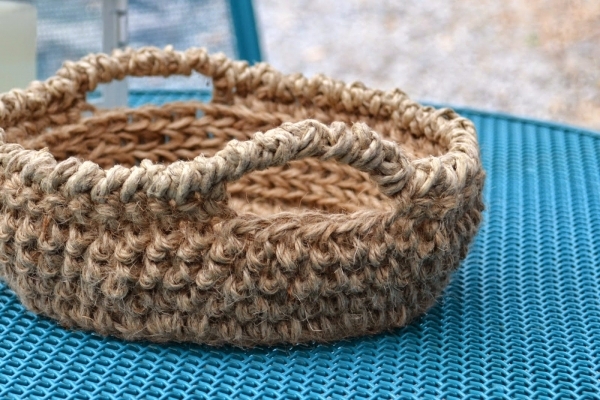 Jute bowl free crochet pattern from Crochet In Color; a great addition to any room in your house! 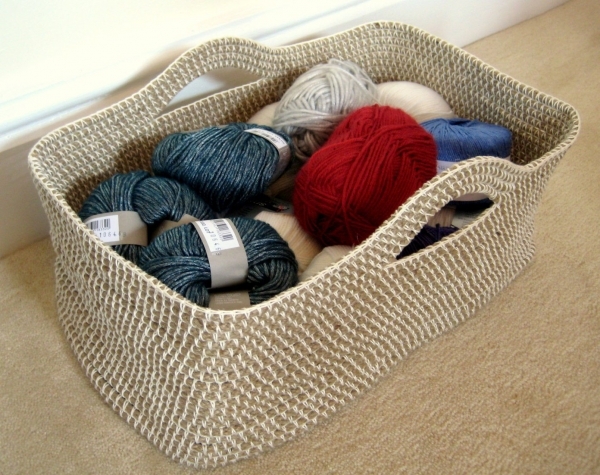 T-shirt yarn crochet basket free pattern via @molliemakes article on 10 ways to use t-shirt yarn. 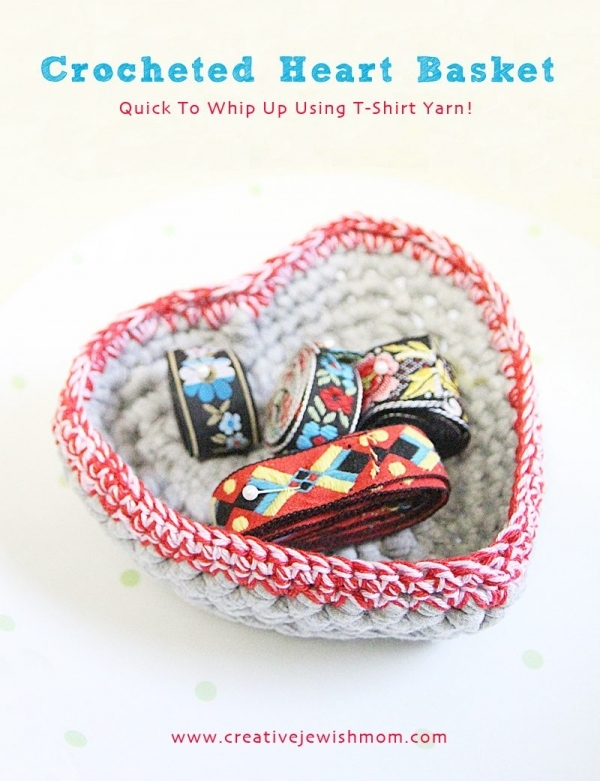 T-shirt yarn is really versatile and generally soft and cozy to work with. 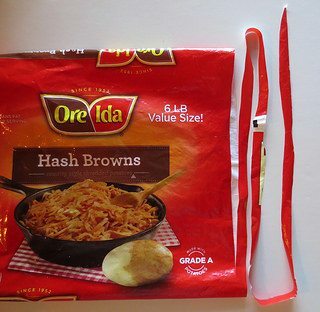 It’s a great thing to try if you’ve never done it before. 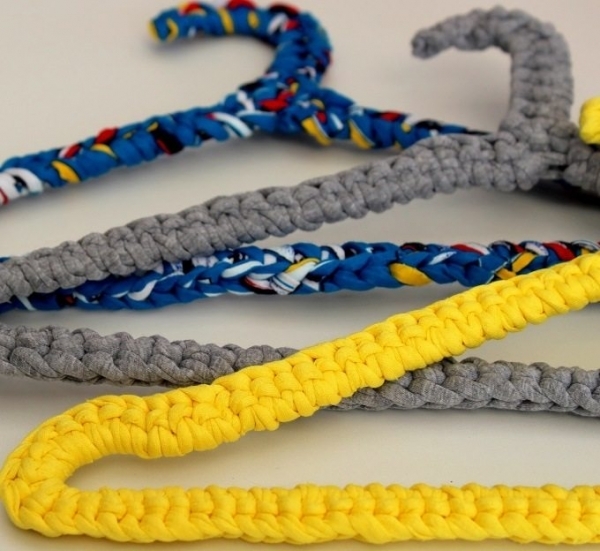 How to upcycle thick wire coat hangers with t-shirt yarn crochet from Lazy Daisy Jones. 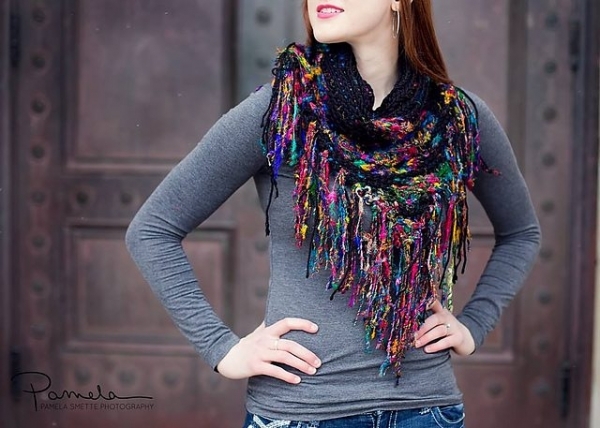 Nice on your clothes and cute in your closet! 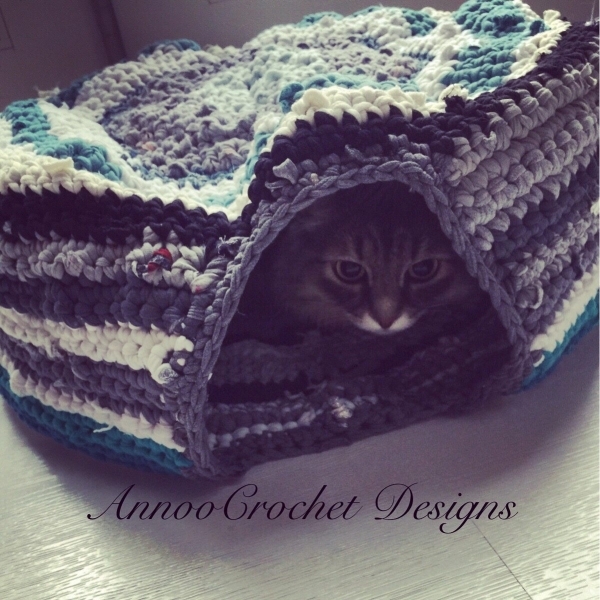 T-shirt yarn crochet pet bed from Annoo’s Crochet World; see another option here. 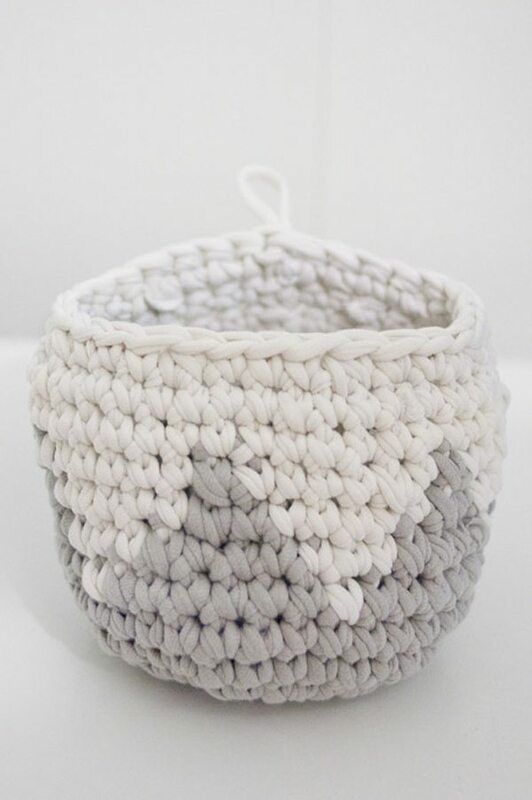 How could your four-legged friend not love the coziness of this kind of creation?! 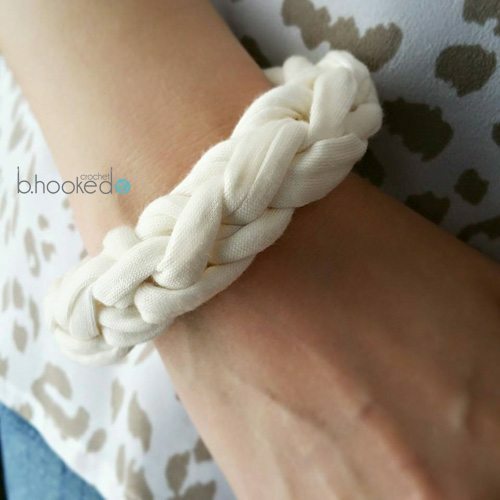 Easy free crochet t-shirt yarn bracelet pattern from @bhookedcrochet. 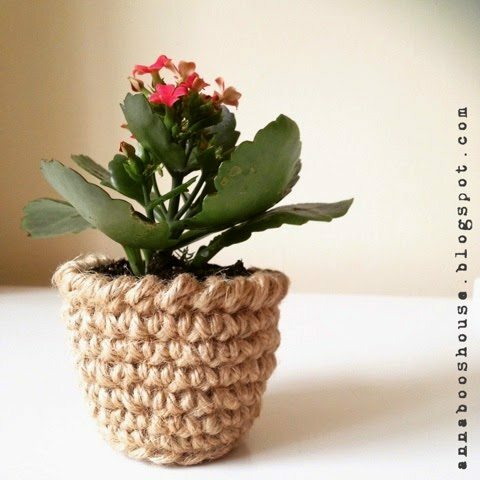 This works up super quickly and makes a great project for teaching groups the basics of how to crochet. 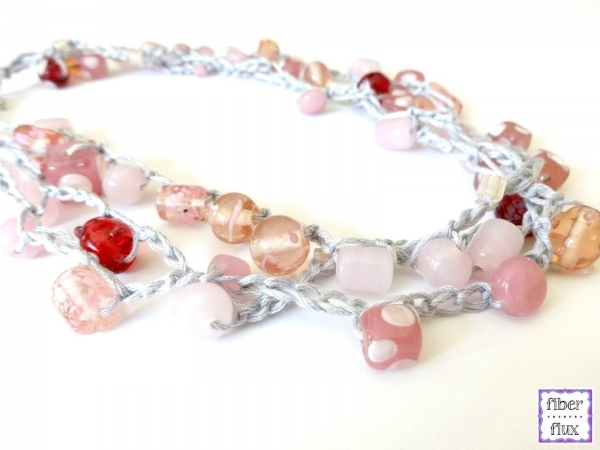 Glass bauble free crochet necklace pattern @fiberflux – a really beautiful way to use beads in crochet! 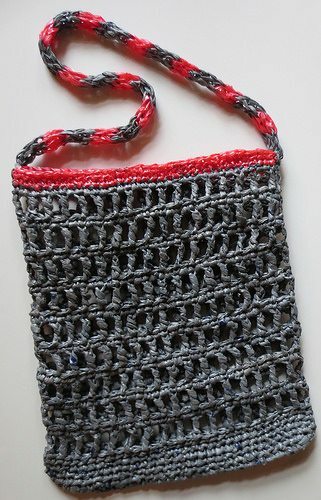 Silk sari yarn crochet scarf pattern for sale from @jbhcrochet; this type of recycled fabric yarn is beautiful and there aren’t enough great patterns out there like this one to show you how to use it! 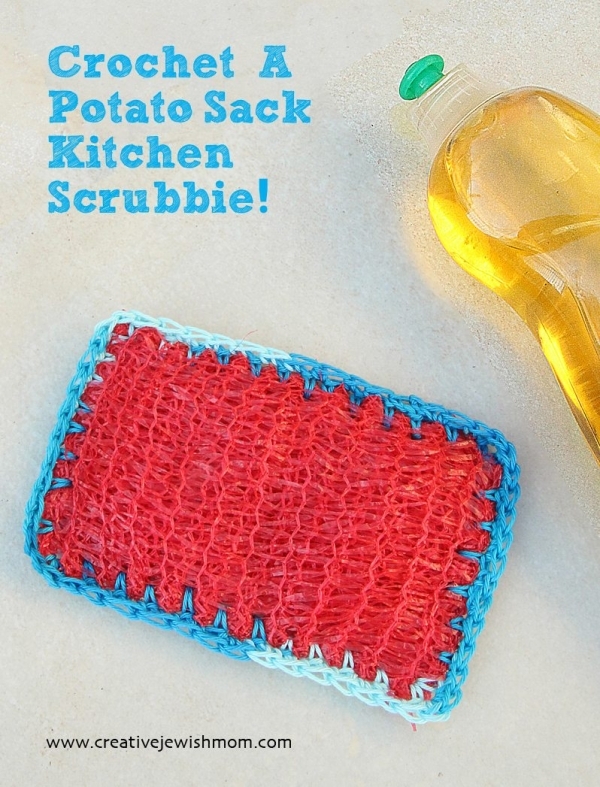 How to Crochet a Mesh Potato Sack into a Kitchen Scrubbie @creativejmom; what a great idea for using those potato sacks!!! 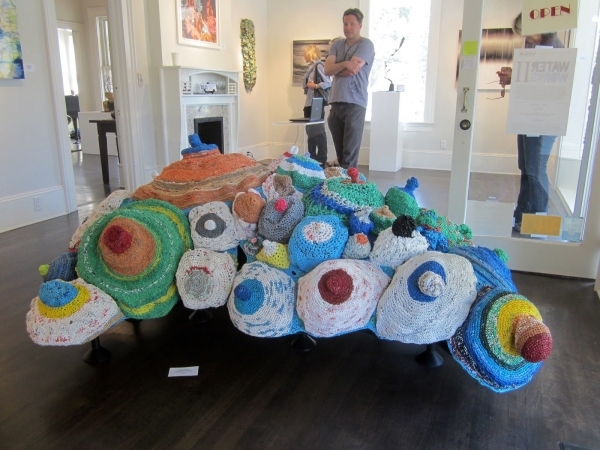 The Something in the Water crochet art project was on display in Ojai, CA in May and is heading to Glendale, CA this fall. 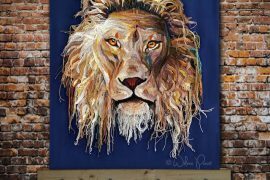 The artist writes, “All works in the exhibition plumbed the depths of water issues amplifying each other in powerful ways. 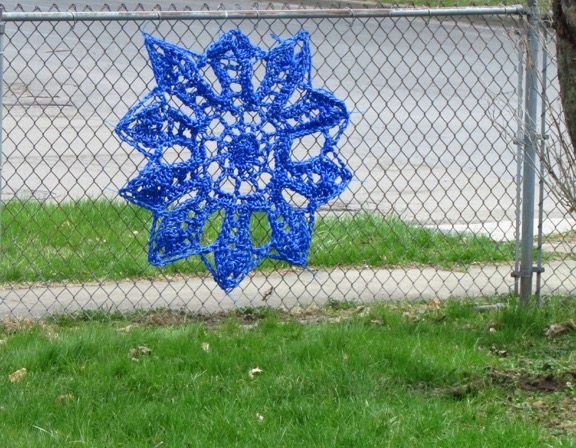 I think this was definitely the most advantageous installation of the piece to date. So many people were intrigued, curious, emotional, and impressed with everyone’s contributions. 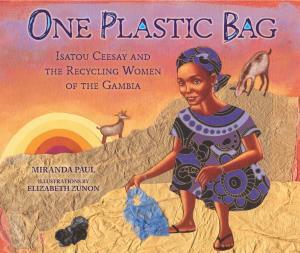 All contributors were named individually in the wall text.” I’m happy that I could be one of those contributors. 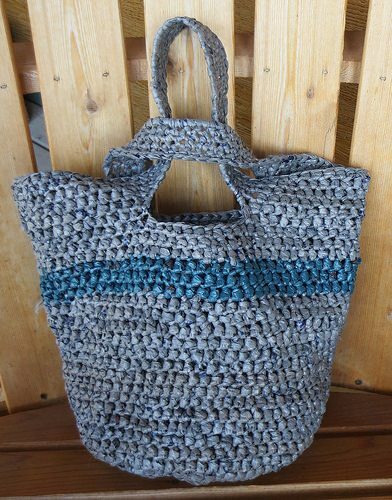 You might also like these mixed media upcycled crochet ideas!